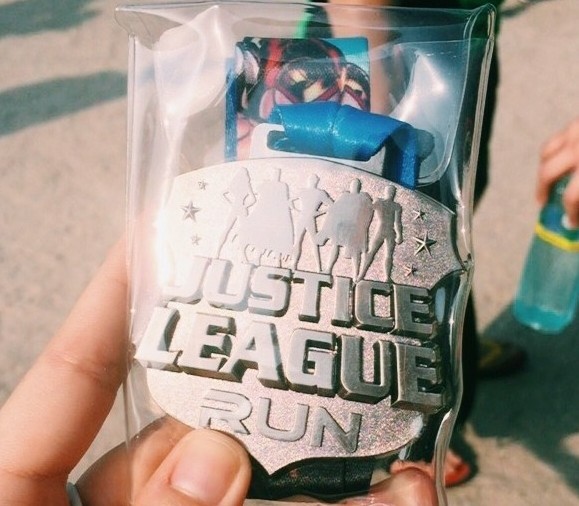 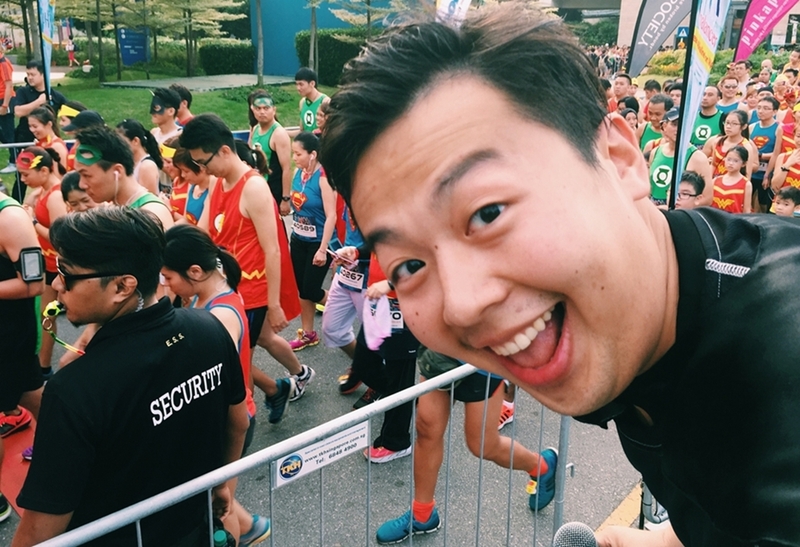 DC Justice League Run Singapore 2015 Race Report | JustRunLah! 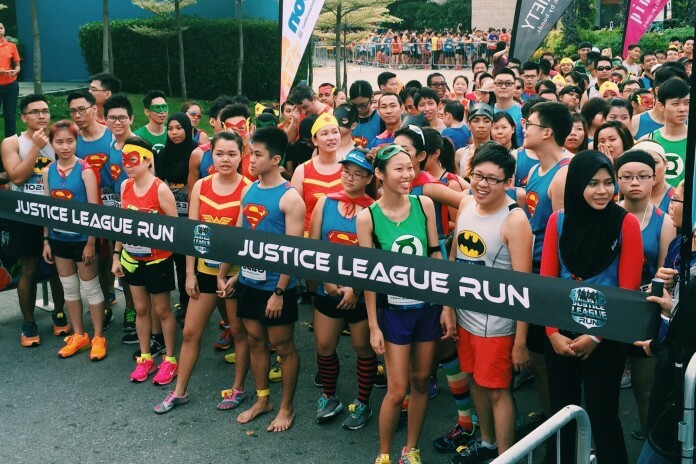 Early this morning 30 August 2015 at 8am, Super Heroes from all over Singapore gathered on Sentosa Island with only one purpose – to see who is the Fastest Hero of The Year in the first ever DC Justice League Run Singapore 2015. 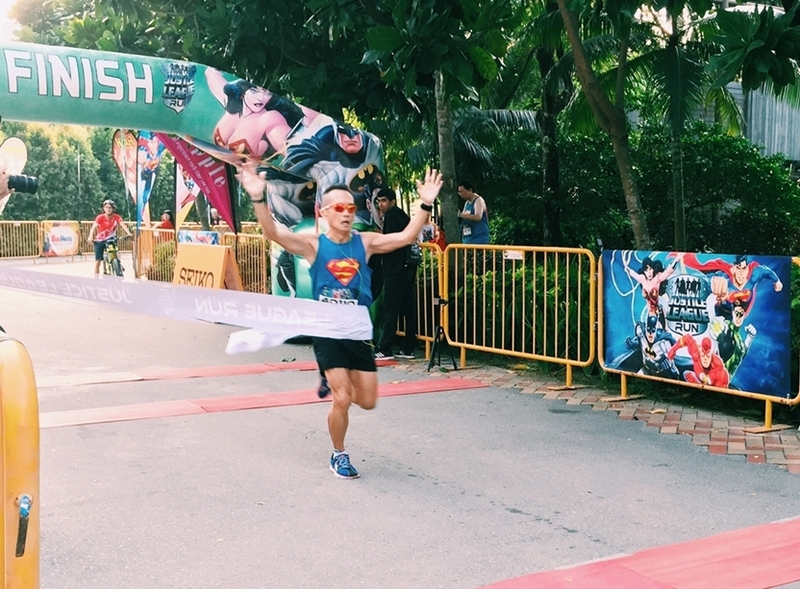 DC fans chose among the 5 heroes to race as in this exciting and power-packed event, namely Superman, Batman, Wonder Woman, Green Lantern and Flash. 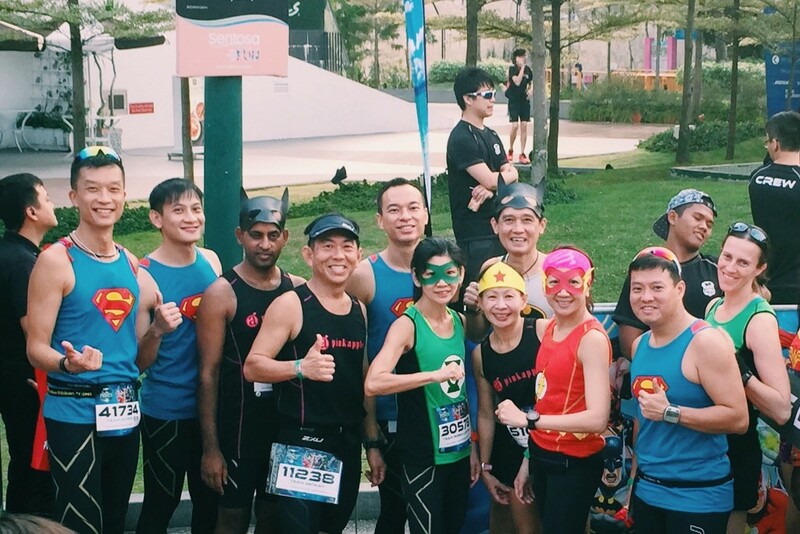 Race slots for this Super Hero themed event were snapped up quickly and the race pack included a running singlet or t-shirt featuring their chosen characters, special gear (such as masks, cape and crown) and finisher’s medal with e-certificate upon completing the 5km race. 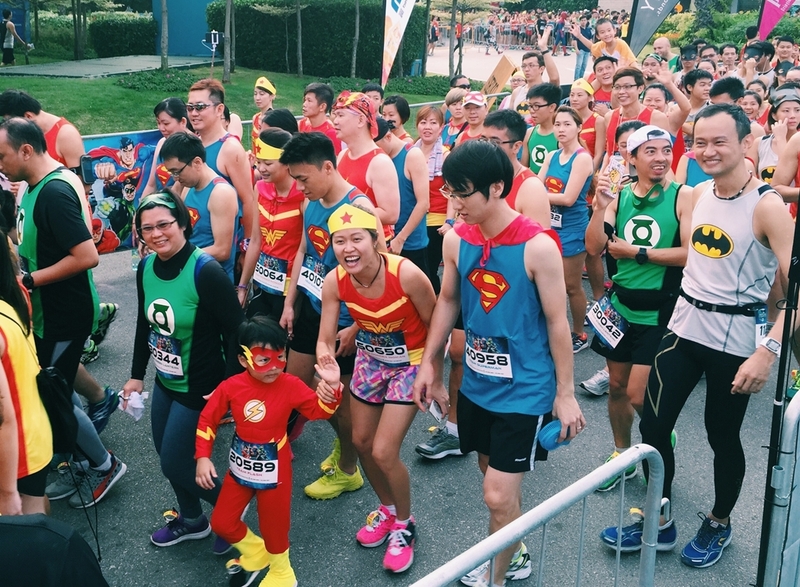 Excited participants reported in their respective Super Hero outfit at the race venue near Sentosa Beach Station and the race was flagged off in multiple waves, making sure that there were no bottlenecks along the racing route. 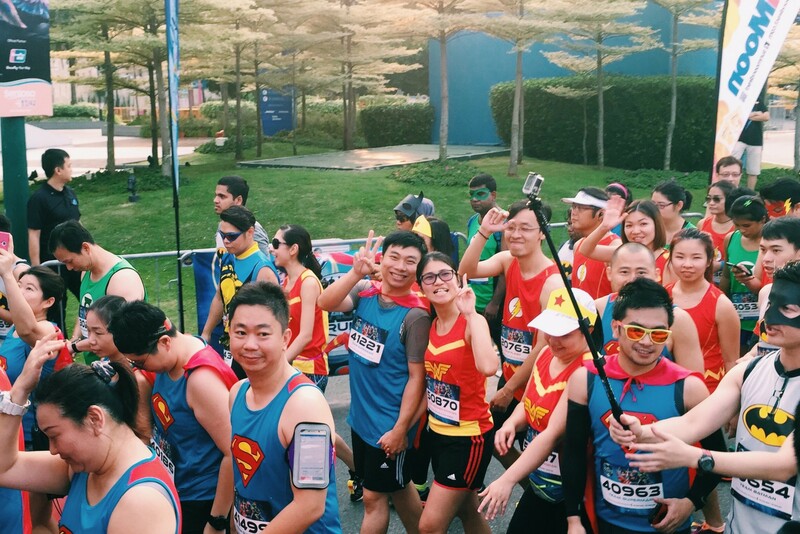 Cosplayers were decked in custom-made suits and went around the starting pen to take photos with their fellow heroes. Breakfast cereal was also provided at the race carnival area to provide some pre-race boost for participants. 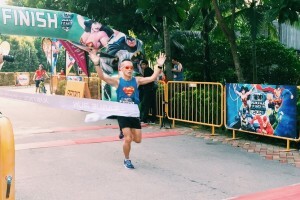 The 5km route started off with a series of hills and slopes along the scenic Sentosa Island for the first few kilometres and became moderately flat towards the end. 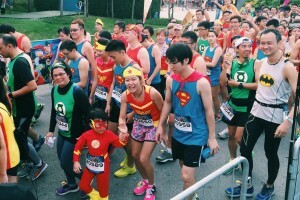 It was a fun and festive sight to see runners swooping the running routes in their capes and super hero masks – a scene rarely spotted in Singapore’s races. 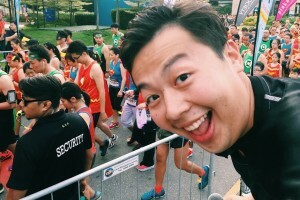 1st hero to arrive from first wave! 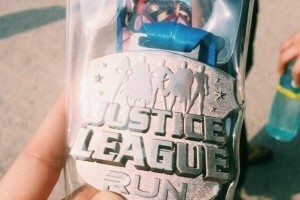 Super Heroes each received a nicely designed Finisher’s Medal upon completing the race and proceeded to the carnival booths for some refreshments and rest. There were many booths selling DC Merchandises and although participants were tired from the hilly run, smiles and laughter as well as photo-taking along the beautiful Sentosa Beach were seen throughout the morning. 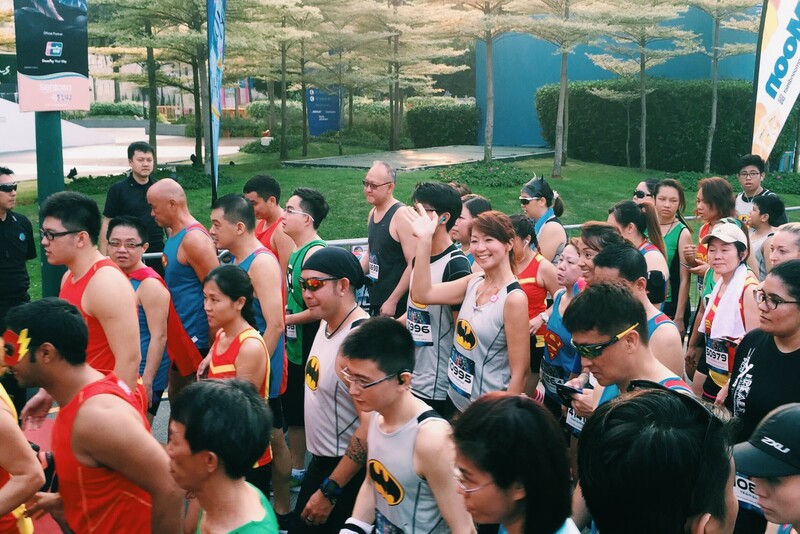 Overall, it was a well-organised and successful first-time race event in Singapore and we look forward to more themed races like this! 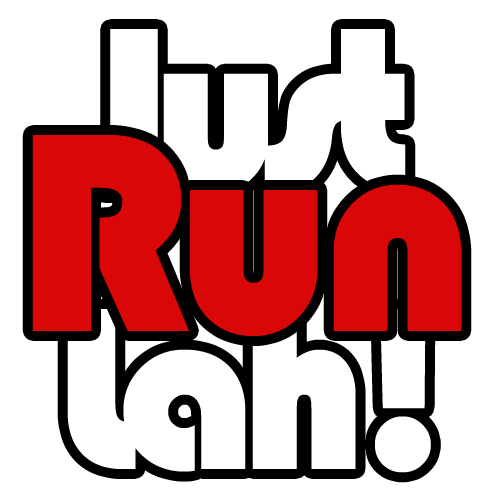 Did you enjoy yourselves?